MANHATTAN, NY A critical restoration for Louise Nevelson’s 1977 masterwork Chapel of the Good Shepherd is now underway. The work is colloquially known as Nevelson Chapel. Objects Conservation Studio’s Sarah Nunberg and students from Pratt Institute are treating overpainted wood surfaces with an innovative cleaning system developed in Florence, revealing Nevelson’s original paint for the first time in decades. A multidisciplinary team, including Jane Greenwood of Kostow Greenwood Architects, Michael Ambrosino of ADS Engineers, Michael Henry of Watson & Henry Associates, Ryoko Nakamura of Loop Lighting and Sarah Sutton of Sustainable Museums, has designed and will introduce an integrated system to regulate heating/cooling/humidity, filter UV light and provide for energy-efficient LED lighting — all while respecting the historic architecture of the room. 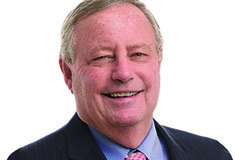 The $5.7 million initiative is supported by foundations and individual givers, including an early phase funded by members and friends of Saint Peter’s. The project recently received two gifts. A $250,000 grant from the Henry Luce Foundation is enabling initial art conservation. The National Endowment for the Humanities’ Sustaining Cultural Heritage Collections grant program is providing $350,000 for an environmental management system. Other foundation and leadership donors will be unveiled in the fall. Nevelson was, herself, grand and mysterious — her storied persona, termed “the Nevelson,” replete with three sets of fake eyelashes, floor length fur coat and bold jewelry. She was one of the first recipients of the National Medal of the Arts, bestowed on her in 1985 by President Ronald Reagan to honor her creative genius and her personal achievement. 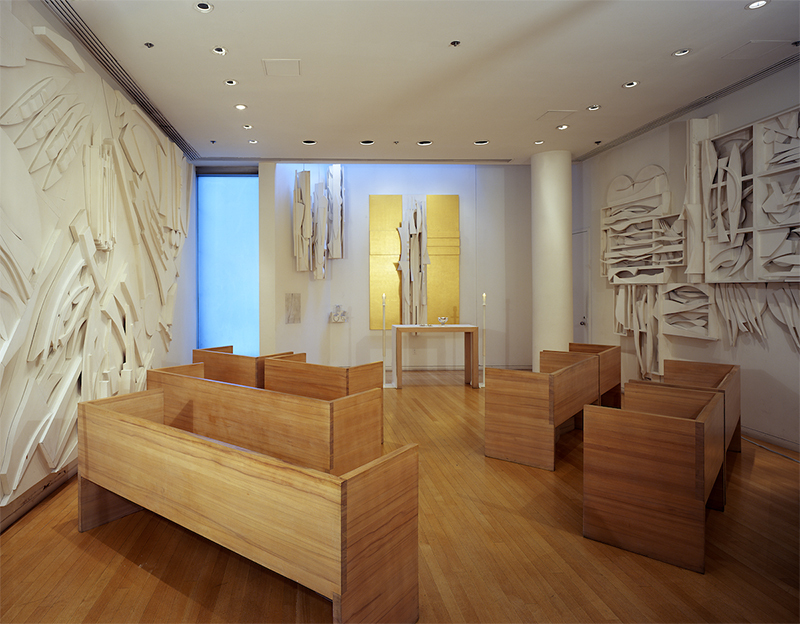 Nevelson Chapel is the artist’s only remaining complete environment always open to the public. Restoration of this New York City treasure hidden in plain sight will conserve an important piece of cultural heritage for the future and secure Nevelson’s legacy as one of the most influential and celebrated sculptors of the 20th century. The public can catch a glimpse of restoration to the sculptures until construction begins on or near October 15. Nevelson Chapel will re-open for further conservation Spring 2019.